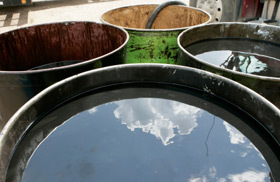 Used oil is considered the single most potentially hazardous material in Canada if not managed properly. Used antifreeze is toxic; dumping it can cause serious water quality problems. 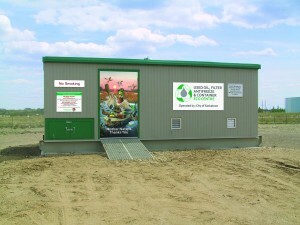 Beginning in 1996, the used oil materials recycling model managed by the Saskatchewan Association for Resource Recovery Corp. (SARRC) has demonstrated it works environmentally, economically and socio-economically. The Recycling Program for Used Oil, Filters and Containers was developed by the Saskatchewan Waste Management Advisory Group (WMAG) and the Western Canada Used Oil, Filter and Container Task Force (WCTF). To develop, implement and maintain Saskatchewan’s single, cost-effective, province-wide Used Oil Materials Recycling Program, SARRC was formed on February 12, 1996 under the Non-Profit Corporations Act of Saskatchewan. SARRC added antifreeze and antifreeze/diesel exhaust fluid (DEF) containers to the Used Oil, Filter & Container Recycling Program April 1, 2014. The program, which is approved by Saskatchewan Environment, was developed after extensive consultations with industry, environmental groups, governments and other stakeholders. The program is funded by an Environmental Handling Charge (EHC) assessed on new oil, oil filters, antifreeze and plastic oil/antifreeze/DEF containers at the first point of sale or distribution in Saskatchewan. The EHC is not a government tax, but a user-paid levy and is used solely to operate the collection of used oil, used oil filters, used antifreeze, and used plastic oil/antifreeze/DEF containers (up to 50-litre capacity). EHC Funding comes from the Environmental Handling Charge (EHC) remitted by these members to SARRC based on sales of new collectable oil, oil filters, antifreeze and plastic oil/antifreeze/DEF containers. Return Incentives (RI) are paid by SARRC from EHC revenues to registered collectors for picking up materials from collection facilities and major generators throughout Saskatchewan. All materials are transported to approved processors and end users. 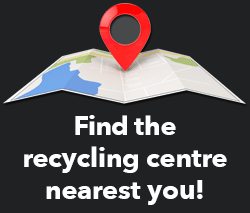 Collection Points are a network of nearly 170 year-round facilities plus 35 EcoCentres (pictured at right) available in almost 200 communities. This makes recycling used oil and antifreeze materials convenient for do-it-yourself (DIY) mechanics, farm and commercial markets. Collaboration is strong with members, the private sector recycling industry, collection facilities, all level of governments, and the Used Oil Management Associations in British Columbia, Alberta, Manitoba, Québec, Ontario, New Brunswick and Prince Edward Island. 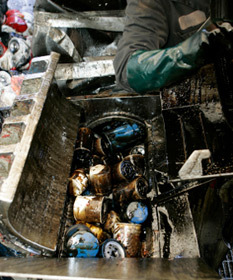 Millions of litres of used oil, millions of oil filters and kilograms of plastic have been recycled since 1996. None of this material ended up in landfills and the oil was not used for oiling roads. Have a look at the most current collection volumes. Used oil is recycled as oil base stock, reprocessed into other lubricating products, fuel for large industrial burners and asphalt plants. All used oil filters are processed at steel recycling mills. 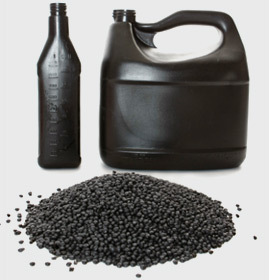 Used plastic oil containers are pelletized or flaked for making new containers, plastic durable goods, impact posts, curbs and landscape ties. Used antifreeze and used plastic antifreeze/DEF container collection began April 1, 2014. Helping Saskatchewan Make Every Drop Count!